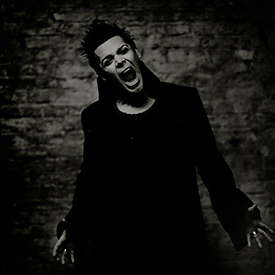 For fans of the world-renowned German rock band, Rammstein, guitarist Richard Kruspe is certainly no stranger. 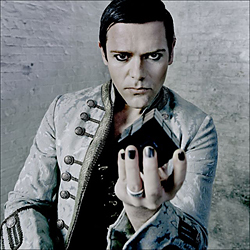 But what may come as quite a surprise to listeners is Richard Kruspe’s new debut album, Emigrate – a selection of compositions reflective of Richard’s current state of mind and lust for a fresh new start both personally and with his fellow band mates in Rammstein. Don’t worry if you’re not a big Rammstein fan — Emigrate deliver English-vocal, melodic, heavy, alternative rock on their debut CD. In the comfort of Kruspe’s private studio located in downtown Manhattan, MusicPlayers.com had the opportunity to meet with Richard for an in-depth conversation exploring the creative means behind the creation of his side-band’s album, Emigrate. 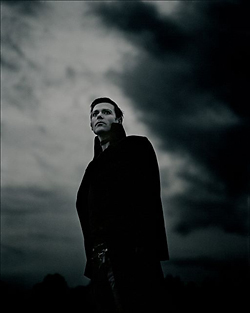 Although it has been available for a few months in Europe, Emigrate’s self-titled debut is scheduled for release January 28, 2008. More specific information regarding the new album can be found in last month's CD Reviews. Be sure to check it out! Richard explained (in a heavy German accent), “I am a workaholic. I love to keep working and needed to channel the excess energy someplace else. Being the guitarist for Rammstein, I found myself wanting to be the lead singer. 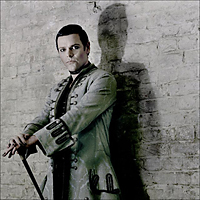 I found myself overcompensating in other areas of the band and trying to be involved and controlling of other parts within the band.” As a result, Richard’s need to take control became overbearing and caused friction within the band, especially given that Rammstein generally take a democratic stance when making creative decisions and deciding the direction of the band. In the end, the band was happy that he split his energy half and half. It helped keep their relationship, and the integrity, of Rammstein intact. Richard made an excellent analogy: “It’s kind of like when you get married, then get divorced, and your ex- has a new child and you don’t want to talk about it.” In this case, the new child is his creation, Emigrate. Considering the industrial metal vein of Rammstein and the influences of living in club-happy Berlin, Richard was surprised at the outcome of Emigrate. “It sounded really rock in a mainstream kind of way. I always considered myself as being more in a dark world, on a dark side of music.” Richard is a big believer in environmental influences when it comes to creating. “The history of New York City and the sounds of New York City played a big part in influencing many bands.” Richard recalled that all the bands coming out of New York have a certain kind of rock sound. “Even the punk band, The Ramones, were rocky. Anytime you heard of a new band out of New York, you were like ‘Wow, that’s rock!’” He couldn’t help but wonder if that had an influence on his album. But why move to New York? What inspired the move from Berlin to Manhattan? Richard had already achieved a successful career with Rammstein, having sold over twelve million albums and DVDs worldwide. “A lot of things!” cited Richard. “First, having lived in Berlin for eighteen years, I needed a change. One of the things you have to do as an artist is go to your unsafe way. Basically, you need a challenge in order to stay hungry. What city is better to stay hungry in than NYC? The worlds biggest drama? Second, I got married in NYC in ’99. Married life didn’t work out for me, but I tried for a little while. Third, I had a problem with Berlin as a destructive city. For me, Berlin is a drug city. In the Eighties when the wall was still up, it was the biggest heroin city in the world. And after heroin, it was a lot of speed, LSD and ecstasy. I always had a problem with drugs.” Richard recalled a story told to him, “that Berlin got built up after the Second World War and because there were so many dead bodies around the city, they couldn’t put them in the grave yard. People believe that is why there is weird spirit there… I don’t know about that.” Richard did know, however, that he needed to get out of there to get away from the drug culture. Having our conversation in the surroundings of Kruspe’s studio control room, one wall piled high with literally stacks of Mesa/Boogie Rectifier/Dual Rectifier heads, another with racks of sweet outboard recording gear, and a mix desk in the middle (also filled with classic rack gear for guitar recording), we just had to talk about his studio and some of the preferred pieces of gear used to create his sounds. While most musicians would only dream to have a studio set up like his, in Richard’s case, the studio in Manhattan is a mirror image of his studio in Berlin! 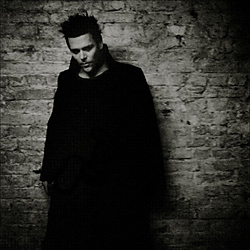 Richard is currently working on the new Rammstein album, and when in New York, he’ll be working on the second Emigrate album. As Richard restated, “Rammstein will always be priority number one.” Maybe after the Rammstein tour and a second Emigrate album is completed, he may find some time to be able to tour with this outstanding rock project. To view a video of the first single, “My World,” check out http://www.emigrate.eu/Video.